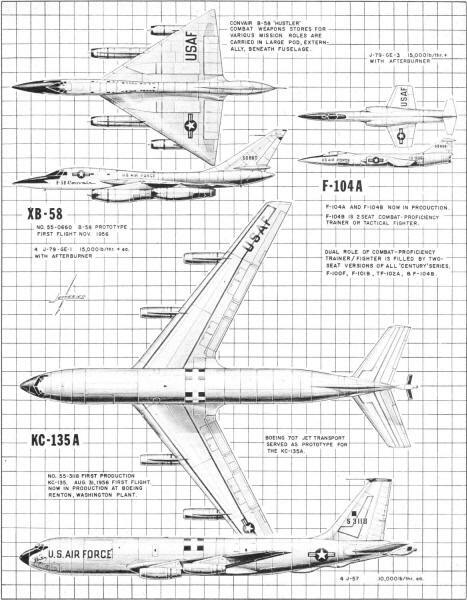 These 2-view drawings of the XB-58, F-104A, and KC-135A were scanned from page 31 of my purchased edition of the October 1957 American Modeler. It is another example of Walter Jefferies' fine scale drawings. Scale Presentations by Walter M. Jefferies, Jr.
KC-135A: Midair Refueler, The KC-135 is derived from the original Boeing jet transport "proof of concept" demonstrator, the Boeing 367-80 (commonly called the "Dash-80"). 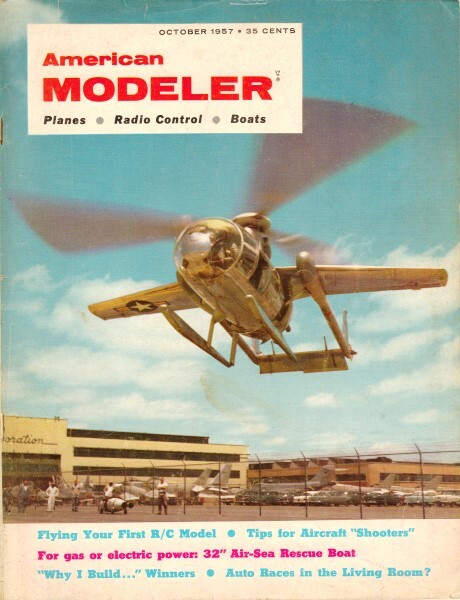 As such, it has a narrower fuselage and is shorter than the Boeing 707 jetliner. Boeing gave the tanker the designation of Model 717. 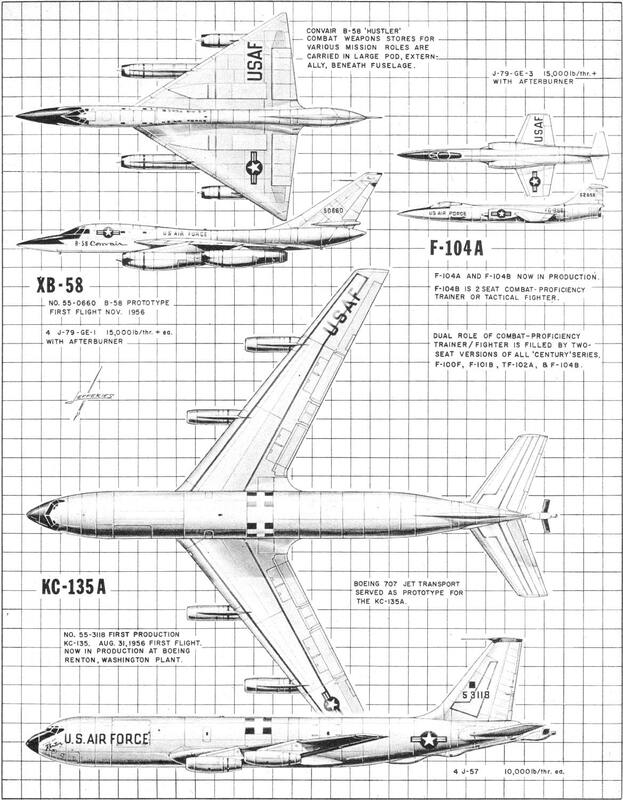 The 367-80 was the basic design for the commercial Boeing 707 passenger aircraft as well as the KC-135A Stratotanker.